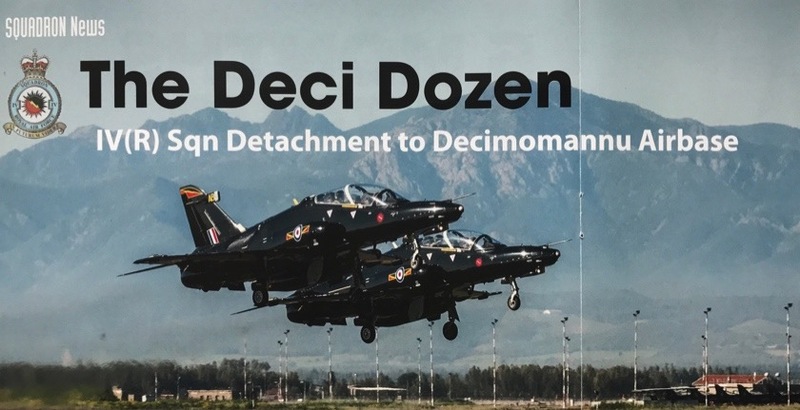 On 22 March, 12 Hawk T2s departed Valley to the sunnier climes of Sardinia in the largest overseas detachment of Hawk T2s to date. Over the ensuing two weeks we achieved awesome rates of flying with 3 waves a day fuelled exclusively by pizza and cappuccino. The result was an incredible number of DC0s, newly minted QFIs and upgrades, 18 Course complete and a gloriously bronzed Musky. Of course, no plan can ever survive the first contact and so it was that the advanced party ended up stranded in Rome due to Air Traffic strikes and were the last to arrive. Worryingly, for those that know them, this left the initial liaison in the hands of 20 Course who had just gallantly carried the AMPA computers across Europe by road. What could go wrong? The trail, however, ran on rails with a quick refuel in Orange, France, before pressing straight to Sardinia with Sqn Ldr Altoft’s desperate pleas to be intercepted falling on confused ears. All 12 jets arrived safely and uneventfully with the minor exception of Will Collins scoring the first points for international relations. This enabled the opening auth to meet Lt Col Shouty McShouty to clarify the finer points of arrivals, the lessons from which served us well for the remainder of the det. The jets were immediately turned and achieved our first wave of DCOs the same afternoon. The bar was set.